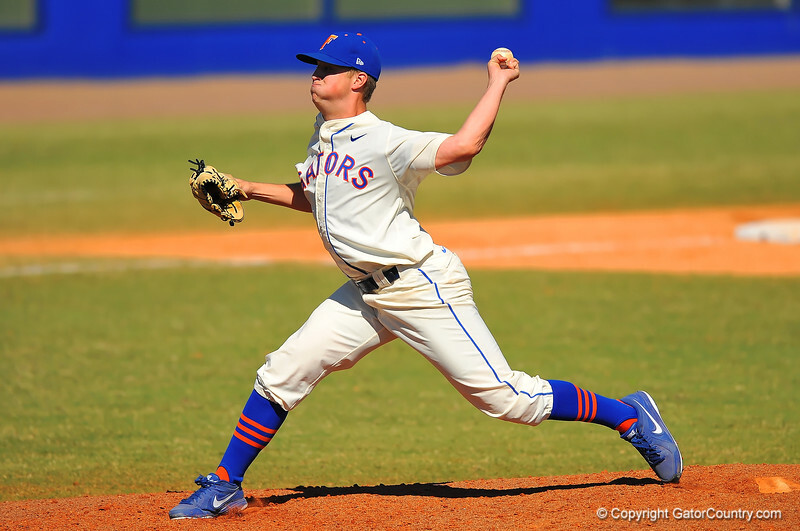 Florida pitcher Kirby Snead comes in for relief and throws toward home. Florida Gators vs Illinois Fighting Illini. March 2nd, 2014. Gator Country photo by David Bowie.